A wealth of poor reasons exist that people lean on to procrastinate about creating a vital estate plan. Some people say they don’t have the time. Others think a comprehensive estate plan is too expensive to fit in their budget. Perhaps the worst one is that some people believe they do not need one because their spouse will just get everything anyway. Nothing could be further from the truth. It’s important to keep in mind that we all have assets to pass on, and each state has laws that vary on the distribution of our assets. The State of Florida has specific legal protocols in place that must be met if you want your loved ones to enjoy the benefits you pass along. 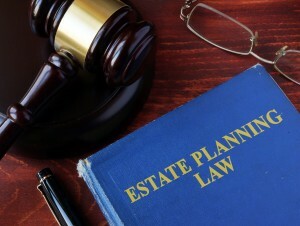 These are things you should know about estate planning in Florida. Compounding the reasons people use to delay creating a critical estate plan are the common myths that circulate. Whether you want to call them legal urban legends of plain old silliness, these are myths that some people believe. Estate planning documents will complicate things and land my family in a probate court fight. It’s better just to put my eldest child’s name on everything. Online templates and self-help books are all I need. One of the primary points of having a legally-binding estate plan is to provide a detailed accounting of how assets are disbursed and to whom. It takes the burden off loved ones to figure out what your wishes are and helps avoid disagreements. Family disputes — not a well-crafted estate plan — are what land otherwise reasonable people in probate court. To further dispel these myths, an attorney has the experience and legal acumen to help create an estate plan that will stand up to challenge. Self-help books don’t have law degrees. A thorough estate plan means you have a legally sound Last Will and Testament, Durable Power of Attorney, and Advance Healthcare Directive in place. These documents can be quite complex, and that’s one reason many Floridians rely on an experienced estate planning law firm to advise them and see that they meet the state’s legal standard. The Last Will and Testament provides financial information and directions about how wealth and assets are to be distributed. It may also include instructions about how minor children are to be cared for and designate a guardian and other decision-makers. A Durable Power of Attorney gives your designee the authority to manage financial affairs should you become unable. Lastly, the Advance Healthcare Directive provides guidance about medical care and end of life actions taken on your behalf. Without these three items in place, you risk legal battles over inheritance, money management, and life decisions. If you have not yet developed an estate plan, it’s time to move past the procrastination and silly myths. You owe it to yourself and your loved ones to move forward and secure your future. Yardley Law has more than 25 years of experience in estate planning.